Don’t miss Session 2: Our 7 Principles as Pillars of Our Faith! What do UU’s believe? “I used to believe…. 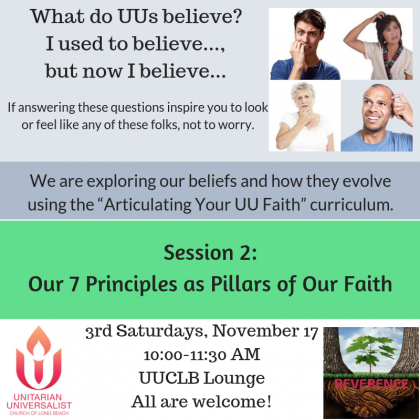 but now I believe….” Explore our beliefs and how they evolve using the “Articulating Your UU Faith” curriculum. All are welcome!